Over the years, we’ve stayed true to our family-owned roots while expanding to offer the full range of office coffee, pantry, ice and water services. A passion for coffee. It runs in the family. At Parks Coffee, family is at the heart of everything we do, from the care we put into our delicious coffee products, to the attention we give to our customers every day. But the company has the humblest of origins: the garage of the Parks family home in Carrollton, TX. Back in 1986, Randy Parks worked as the salesman, the routeman, and the technician, while his wife Debbie handled the paperwork and ran a home daycare service to make ends meet. Now, thirty years later, you'll see them both in the office, along with their sons Clay and Scott, still working to bring their customers the freshest products and highest-quality equipment that make your workday better. We now provide our workplace refreshment services to customers throughout Texas, Oklahoma, Arizona, Louisiana, and southern California. We invite you to come to our Roastery & Café in Carrollton to learn more about our coffees, and our company history! Since our inception in 1986, we have received numerous awards and recognition as an industry leader, including National Automatic Merchandising Association's (NAMA) Coffee Service of the Year award, Avanti Markets Operator of the Year, and Parks Coffee Owner/President Randy Parks has been named National Coffee Service Association's (NCSA) Operator of the Year award and the FLAVIA Outstanding Distributor Award. Currently we service approximately 15,000 corporate accounts in the DFW Metroplex, Houston, San Antonio, Waco, Austin, Midland, Odessa, Oklahoma City, Tulsa, Phoenix, Tucson, Los Angeles, and Shreveport. Our clients depend on our more than 250 friendly uniformed professionals to expertly fill their orders on a daily basis. And, of course, our GPS-monitored delivery vehicles provide the transportation for all the products and services required to give a first-rate experience. Give us a buzz at (800) 889-7827, and a knowledgeable salesman will contact you within 48 hours to set up your free quote and a coffee tasting for your office. We are the best and most complete workplace refreshments service in America; providing a comprehensive array of freshly roasted coffees, snacks, drinks, break room and janitorial supplies. Our friendly and knowledgeable team is committed to serving with skill and problem-solving tenacity. We are the refreshment professionals, offering white glove service. 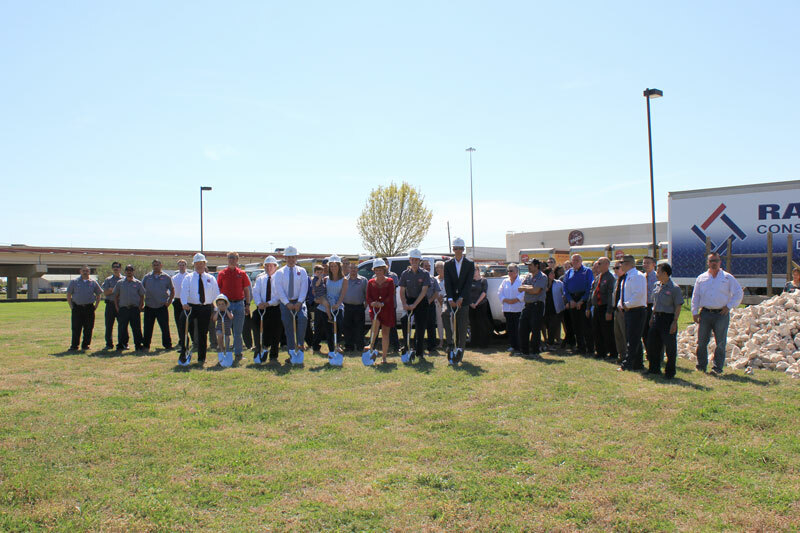 We have begun construction of our new 50,000sf roasting facility near our Dallas headquarters! 2016 — Celebrating 30 Years of Service! Now in Los Angeles, CA! Offering Office Coffee Service, Breakroom & Janitorial Supplies, and Parks Pantry Micro-Markets to businesses in Southern California. Began manufacturing our own line of Single-Cup coffees for use in Keurig® and other K-type brewers. Our coffees are now available in Single-Cup, pod, fraction pack, filter pack, whole bean or ground formats! Now in Odessa, TX! Offering Office Coffee Service, and Breakroom & Janitorial Supplies to businesses in the Midland and Odessa areas. Our Parks Pantry Micro-Markets program was honored with the title of Operator of the Year from Avanti Markets. Introduced the Crowd Pleaser concept, to give all brewing formats the same choice and variety afforded to single-cup platforms. By showcasing up to eight coffees on the countertop beside the brewer, we broaden the coffee experience in each of our accounts. Started the Parks Pantry Micro-Markets program, bringing a kiosk-style convenience store to our customers in Dallas and Houston areas. Edit 2015: Now available in LA! Initiated our Fresh Pot Program (FPP), to supply each of our customers with freshly washed, sanitized, and hermetically-sealed airpots or carafes with every visit. We rebranded our company under our family name. Now in Oklahoma City, OK! Offering Office Coffee Service, and Breakroom & Janitorial Supplies to businesses in the Oklahoma City and Tulsa Metro areas. Our Carrollton campus has expanded to include a 35,000sf Headquarters and Warehouse space. The Carrollton campus also is home to our Corporate Office, Roaster, and Dallas Service Suites. Now in Phoenix, AZ! Offering Office Coffee Service, and Breakroom & Janitorial Supplies, and Ice & Water to businesses in the Phoenix area. ProStar Services logo and branding redesigned and modernized. Now in San Antonio, TX! Offering Office Coffee Service, and Breakroom & Janitorial Supplies, and Ice & Water to businesses in the San Antonio area. Featured in Vending Times magazine. Now in Austin, TX! Offering Office Coffee Service, and Breakroom & Janitorial Supplies, and Ice & Water to businesses in the Austin area. Featured in Vending & OCS Magazine. Now in Houston, TX! Offering Office Coffee Service, and Breakroom & Janitorial Supplies, Ice & Water, and Parks Pantry Micro-Markets to businesses in the Houston area. Our love affair with roasting coffees began in 2003, when we bought our first roaster. Under the name Sonora Roasters, we roasted 150,000 pounds of green coffee beans that first year. In 2015 we roasted about 1.5 million pounds of green coffee. That's 43,200,000 cups of brewed coffee that were sipped and savored! 1990 — ProStar Services, Inc. Incorporated as ProStar Services, Inc. Moved out of the family garage and into our first warehouse space! 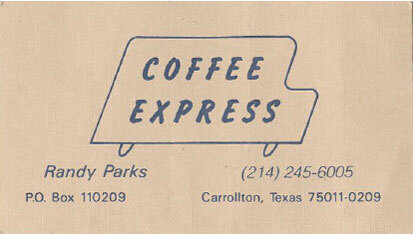 Began a coffee route business, known as Coffee Express, in our family garage in Carrollton, Texas. We are the premier Office Coffee Service solution in America. Allow us to show you the Parks Coffee Difference, with a free coffee tasting in your breakroom. Parks Coffee now offers over 25 delicious coffees, roasted fresh every day at our Carrollton, TX headquarters. You can also look to us for all your favorite brands including Starbucks® and Green Mountain Coffee®.